Grant Morrison is staying put with Universal Cable Productions. The Hollywood Reporter brings word that the popular comic book and TV writer has extended his deal with the studio behind SyFy’s Happy, and will also develop and produce original content alongside UCP, including a The Invisibles TV series based on his cult comic book title. Set in 2020, The Invisibles follows an elite international cell of occult freedom fighters dedicated to the creation of a better world for everyone — by any means necessary. The DC/Vertigo comic series ran from 1994 to 2000, and served as a major inspiration for The Wachowski’s The Matrix Trilogy. Morrison also famously wrote the Batman title Arkham Asylum, which ranks as one of the most successful graphic novels to be published in America, where it has sold over 600,000 copies and spawned a popular video game series. Other popular comics by Morrison include The Filth, We3 and a celebrated run on DC’s JLA. UCP is currently in production on Happy Season 2, which stars Chris Meloni and the voice of Patton Oswalt, based on Morrison and Darick Robertson’s graphic novel. Morrison is also teaming with Amblin TV, Brian Taylor and David Weiner to adapt Aldous Huxley’s sci-fi novel Brave New World. 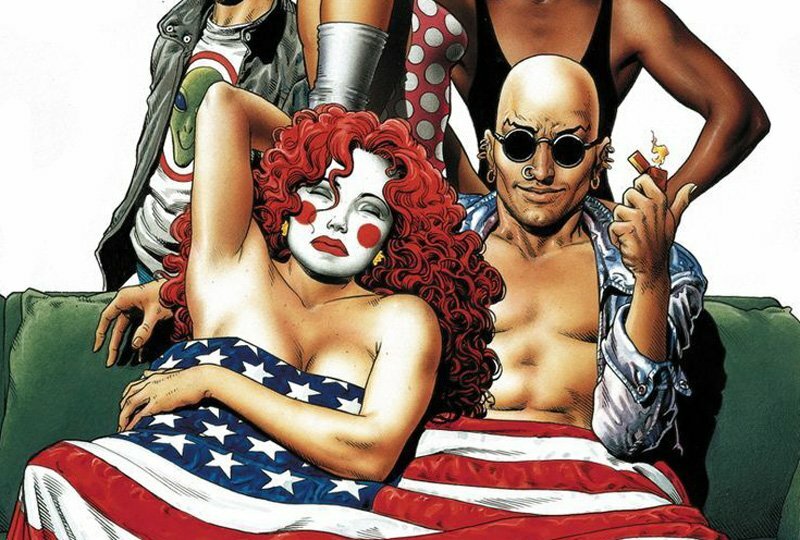 The post The Invisibles TV Series in Development With Creator Grant Morrison appeared first on ComingSoon.net.